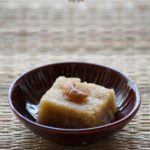 If you are looking for more halwa recipes then do check Pineapple Kesari, Rava Kesari, Singhara Halwa, Banana Sheera, Sweet Potato Halwa, Jaggery Kasi Halwa, Milk Rava Kesari, Besan Ka Halwa and Pumpkin Halwa. Here’s a complete list of Varalakshmi Vratham Recipes. Add and fry the cashews until golden color. Add the raisins and fry until they plump up. Transfer the semolina to a plate and set aside. Cover it with a lid and let it cook on a low flame for a few minutes or until the semolina gets cooked. Add the jaggery and mix it well. Add the remaining ghee and mix well. Let the jaggery dissolves completely. Add the fried cashews and raisins and combine. Looks delicious Hari..almost like rava sheera. Thats sooo inviting !! 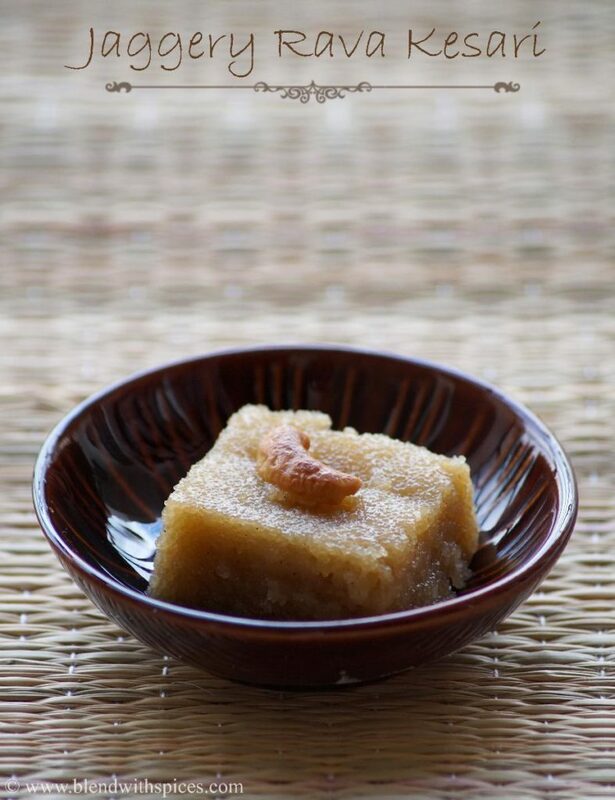 Infact all your Kesari pictures have this slight sheen which makes it so tempting .. Thanks for the nice recipe! Very simple and tasty.